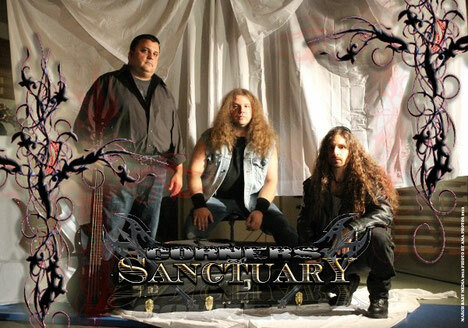 CORNERS OF SANCTUARY is an American heavy metal band, was formed in early 2011 after members of a previous band, Seeker, regrouped in 2010 to celebrate the band’s anniversary. The reunion spawned a desire that brought members Sean Nelligan, James Pera and Mick Michaels to begin working together again. Each member had honed their craft while playing in several Philadelphia-area based bands. CORNERS OF SANCTUARY has released 2 EPs and 1 album in this year, the six-track EP "Forgotten Hero" in March, twelve-track album "Breakout" in June and five-EP "December Wind" in November. Their music that makes you do head-banging along with the hard-hitting sound and straight forward Heavy Metal is now available on band website, amazon, iTunes and emusic. And their upcoming album "Harlequin" has been set to release in January 2013. 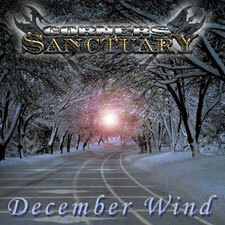 Keep your eyes on CORNERS OF SANCTUARY!